Another college hoops season has begun, bringing joy to millions of fans (myself included). But there’s a seamy underbelly to sport, and the kids that play are merely pawns in a high stakes game that reaps billions for the NCAA. Yes, they get a scholarship, but that’s chump change compared to the money in play. Check out this New York Times article from a few months ago to read about one kid’s sad saga. Playing in a gilded arena — the KFC Yum! Center — with luxury boxes and bars in the concourses that serve bourbon and other hard liquors, Louisville basketball has generated more than $45 million in annual revenue in recent seasons. According to the government’s case, $100,000 is what it took to lure Bowen to Louisville and its Hall of Fame coach, Rick Pitino. Only $19,500 was actually paid to anyone — an amount equal to one-quarter of 1 percent of Pitino’s annual salary, $7.8 million. 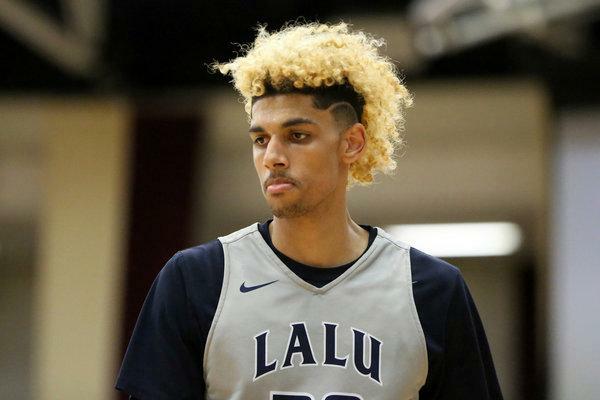 Brian Bowen Jr. is not a defendant; he appears to have been a bystander. After Louisville said he would not be allowed to play there, he transferred to the University of South Carolina — only to be told later by the N.C.A.A. that he could not play there, either. In that organization’s view, he seems to be irredeemably tainted. At 19 years old, he was a hoops pariah. It was a curious claim, given that the N.C.A.A. — the Indianapolis-based nonprofit that governs college sports — is not just an enormous commercial enterprise but arguably an exploitive one. In the fiscal year that ended in 2017, the organization surpassed $1 billion in revenue for the first time. A majority of its income, $761 million, came from television rights to the season-ending basketball tournament popularly known as March Madness, an annual payment that increased to $869 million in 2018. The contract with CBS and Turner Sports stretches to 2032 and has an overall value of almost $19.6 billion. That money, though, is just a fraction of what college athletes generate in football and men’s basketball. (The major college football programs essentially seceded from the N.C.A.A. when they formed the highly lucrative Bowl Championship Series in 1998, but their players still compete under the N.C.A.A.’s amateurism rubric.) Their labor is responsible for revenue that flows directly to their universities from a range of sources, including ticket sales, donations from wealthy boosters, in‑stadium advertising, conference broadcast rights and so-called shoe deals in which Nike, Adidas and Under Armour pay for the right to outfit teams — thereby turning ostensibly amateur athletes into human billboards. Until the kids that are the “product” peddled by the NCAA get a bigger slice of the pie, they are playing a losing game. This entry was posted in Deep Thoughts, Sports by Damian. Bookmark the permalink.